The Illogan Green Ripple project aimed to engage a whole community in Cornwall in the South West of the UK with the benefits of domestic renewable energy installations. The holistic approach combined energy efficiency with waste management and water conservation. Green Ripple set out to raise levels of education and awareness around these environmental issues, instigating behavioural change and providing a lasting legacy for the community. As well as the benefit to the individuals of reduced energy bills from the installation of Solar PV, the strength of this project was that a proportion of the Feed in Tariff has been ring-fenced to form a community legacy fund. The scope of the Green Ripple initiative embraced the whole community and included an educational aspect for children and young people, and it is hoped that the positive impact will continue to be felt in years to come. 82 households received advice on reducing energy consumption and improving the efficiency of their homes. 7 homes and 1 community shop and fitted with Solar PV. 15 homes received other energy saving measures and energy saving gadgets. 14 water butts distributed for water conservation. 7 properties were air tested to show leakage. Figures above updated June 2018. Partners – Illogan Green Ripple was a partnership between Cornwall Council, Community Energy Plus, Illogan Parish Council and Local Volunteer groups. 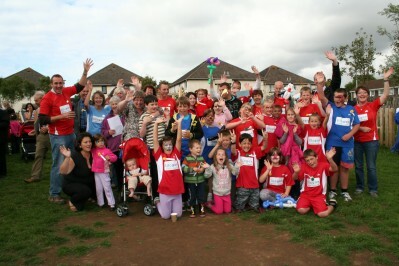 Funding of £171,000 came from the Department of Communities and Local Government, via Cornwall Council. Capital funding for the installation of renewables amounted to £80,000. 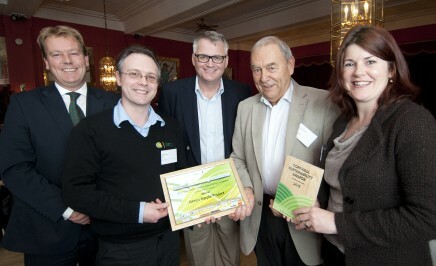 Illogan Green Ripple was presented with the award ‘Best Domestic Renewable Energy Scheme’ at The Cornwall Sustainability Awards in December 2013. The project also received special mention in the ‘Best Community Renewable Energy Scheme’ category.